We are delighted to announce that the 2016 Model Engineer Exhibition will take place on 16, 17 and 18 September at Brooklands Museum, Weybridge, Surrey. The event will, as always, be sponsored by the publishers of Model Engineer, My Time Media and will feature the World Class Competition, individual loan models, stimulating displays by Clubs and Societies, a cross section of traders and suppliers and all this against the backdrop of one of the best museums of historic transport and engineering in the country. Without doubt the exhibition promises to be something completely new, refreshing and invigorating as well as thought- provoking and inspiring. You have just under a year to prepare your models for exhibition! We are currently in the process of writing to the clubs that have traditionally supported us and we shall be putting together a programme of events and activities in the coming months. More information, including details of how to enter your work into the exhibition or the competition and how and where to purchase tickets (there will be discounted ‘early bird’ tickets available) will soon be published through the pages of this magazine and on the Model Engineer website: www.model-engineer.co.uk For now, though, mark the date on your calendar - you won’t want to miss MEX 2016! I hope that there is say a sliding scale of admission prices to take in the other museums as well ? So what with Harrogate relocating to Doncaster and now this one it looks an interesting year. Great! Brooklands is fabulous! I went last year. As the Midlands Model Engineering Exhibition is in October Is this an attempt to get people in before this? Probably because September is a 'free' month. Bristol is August, September is free and October is the Midlands one. Ascot used to be around these dates. Just spaces it a good distance away from Ally pally so the south get two main shows spread through teh year, any earlier and it would tend to clash with Guildford and GDSF. It's in everyone's interest to keep the shows spaced out in both the calendar and geographically. The old date was too close to All Pally, especially with them both being near London. If the next show was to happen in 2016, September was the obvious gap in the calendar, a spring show would have had to wait for 2017 because of the planning involved in such a major revamp. It would be a rather bad show if Brooklands announced it before we did! Not a free month - the great St Albans DMES show is the following weekend. and is north of Watford for the benefit of you lot in the midlands. I am sure that the exhibition will be first class, but having been to Brooklands on a number of occasions for different events I rather suspect that they will have to do something pretty ingenious with the catering. I was very interested to hear that the Harrogate show is relocating to Doncaster next year. Doncaster isn't far from me so that will be handy, although I do enjoy the Harrogate site. I can remember a previous Model Engineering Show at Doncaster, at the racecourse I think. It was over 15 years ago I am sure, and I can only recall the one event, does anyone else remember this? And was there only the one show there? I can't remember much about it, but I do recall Myford were there, also Chester and Emco but no Warco if I remember correctly. A lot of the trade stands were for plastic model kits or radio control models. Hi Lathejack, the Doncaster show you are thinking about was in June 1997, I don't think it was very well supported from what I remember and indeed Warco did not attend, I remember this because I went with the intent of buying a milling machine from either Warco or Chester, as they both sold a similar model at that time. Chester got a sale by Warco not attending the show. This show should not be confused as being the Harrogate show in 1997, because that also took place, but that was in April and was previewed in issue No. 4037 March 1997 of ME. P.S. I do remember watching some of the outdoor flying demonstrations and displays, which I remember were quite impressive. Hi, I personally think the 2016 MEX might just as well have continued at Sandown, as it will be just the same nightmare getting there and home again as it was for me last year. There will be a good chance of me just going to Ally Paly, Doncaster and the Midlands only next year. Neil! Great choice of locations. Weybridge is close to Heathrow, which is only 7 hours flying time for me, which is one reason why I made the last MEX show at Esher. Will talk to my better half about attending this one. 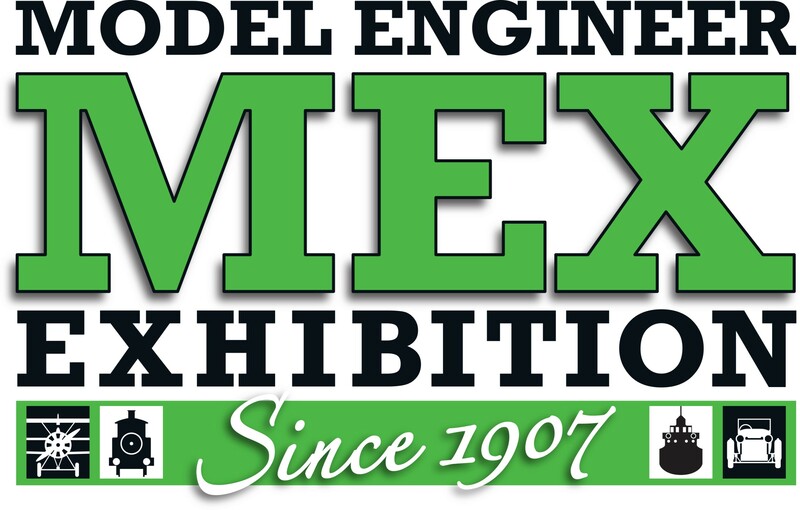 MEX - the only show located with the convenience of antipodean model engineers in mind. You can say that about any show depending where you live. Sandown is rubbish if you live in Scotland for instance. Midland show is far nearer to me than Harrogate but I can get to Harrogate far easier as it's all motor way and not cross country.